I am selling some McIntosh speakers from my 2004 Subaru Outback VDC. I replaced the head unit and after a week of trying to hook into the McIntosh amp I gave up. I am attaching photos of the rear door speakers I have as well as the two tweeters from the front. Feel free to ask any questions or request more detailed photos or videos if that'll help your decision making. These were in good working condition before I removed them from the car. I also tested the resistance which was still 8 ohms, and they still produce sound. These were working when I removed them but the foam surround has disintegrated on both speakers and will need replacing. I can also include the mounting brackets for these speakers. 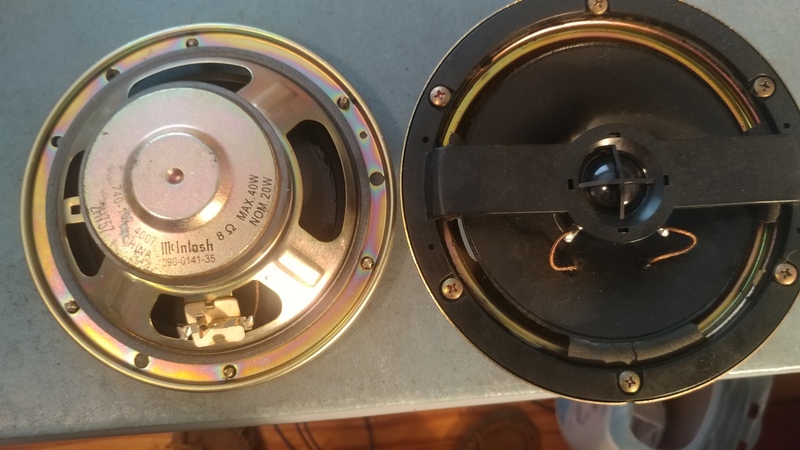 Additionally, I still have the rear speaker in the car I can pull out if anyone is interested, and I have the front woofers somewhere but need to track them down. If you would be interested in buying the entire set I would be willing to come down on price a little since the shipping would be cheaper. I'm interested but I'm wondering what challenges you came across with connecting them? 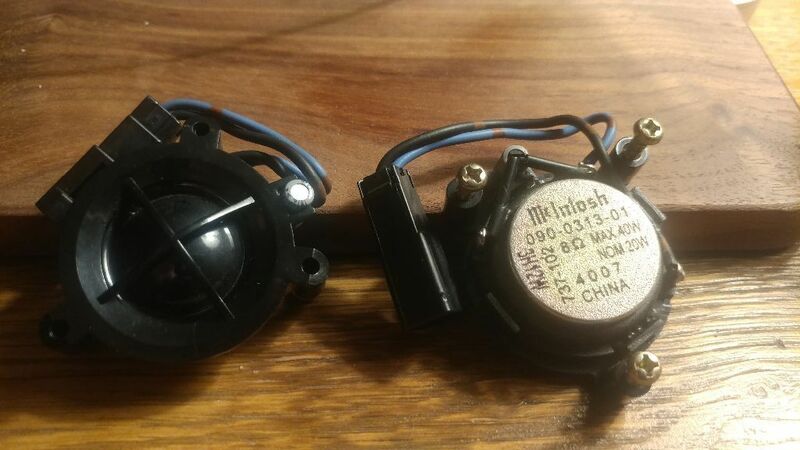 I just couldn't get my head unit to connect to the Mcintosh amp - it used a weird din wiring plug and after trying to make my own harness for a week (in the summer heat) I gave up. I just swapped in the amp and speakers from my previous car to make it easier on myself. Only issue I can think the speakers might present is they are 8 ohm which isn't usual these days. @botenredwolf maybe looking for such things.